Last Building Bridges with Books Family Night of the School Year! Wed, March 20, 2019 3:30 P.M.
Want to make reading FUN? Come to the library and get a jump start on summer with literacy games, free books, prizes, and fun for everyone! 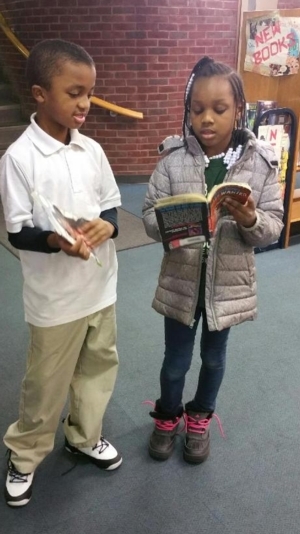 Families of K-3rd grade students from Delaplaine McDaniel Elementary School are invited to join us at Queen Memorial Library for a Building Bridges with Books Family Night event. Please contact the Building Bridges with Books program at 215-686-5372 for more information.